Time is of the essence when it comes to patching up a gas leak, which is why you should always have a plumber on speed dial. You will surely thank yourself for being able to seek professional assistance immediately. You should be proud of how you were able to keep a potential fire or explosion from happening simply because you were wise enough to know that there is always an expert available to help you out. The same applies to LPG leaks, as they should be considered to be equally harmful as the fumes will definitely cause health problems even after just a short period of exposure. It always pays to be very careful when it comes to dealing with matters that involve potentially explosive or flammable substances such as gas or LPG. In all instances, only an expert should be entrusted with the responsibility to fix the leak. You would have an easy time identifying whether or not a gas leak is extensive because of the presence of noxious fumes. On the early onset of such strong fumes, you should contact a gas plumber in Perth immediately. Even if there is only a hint of fumes in the room, you should still treat the situation with utmost urgency because it can be a sign of a bigger leak. 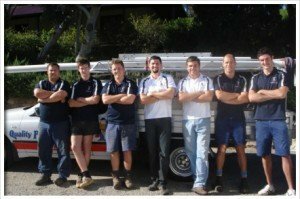 The immediate presence of a Perth gas plumber will give you the peace of mind that you would definitely need in such emergencies. Throughout this process, you should remain calm and carefully explain the situation at hand. 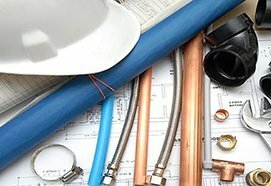 For a professional plumber, the safety of the inhabitants of the home or of the people inside the office building is regarded with utmost importance. They will always apply their skills that they have achieved through their extensive hands-on experience to eliminate the threat right away. After making sure that there is no more risk of explosion or fire, they will then give you sound advice on how such predicaments can be avoided in the future. Surely, you would not want to be bothered by gas leaks every now and then. 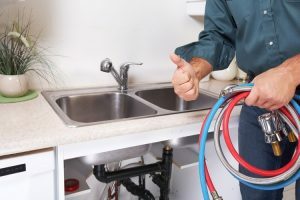 That is exactly the same reason why homeowners and business-owners alike are delighted to always have professional plumber readily available to them. 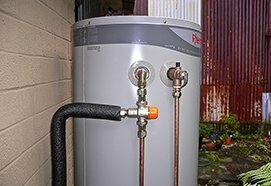 Due to the gas leak that you have just experienced, you may have been thinking about what a big hassle it is to maintain a gas-powered hot water system. This type of heating is very popular today because it is cheaper compared to other options, it is also relatively less-damaging to the environment, and it constantly delivers hot water right when you want and need it. The only downside to this system is that it can be quite complicated to install and maintain on your own. Calling a professional on board would keep you from spending a lot of your hard-earned cash for repairs. The Perth gas plumber will teach you how you can make sure that the heating system will be running perfectly at all times and how you can care for it in order to keep it from breaking down. 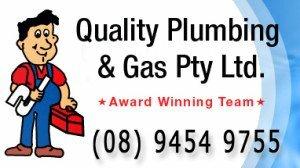 There is simply no excuse not to call up a gas plumber in Perth since they are available for 24 hours a day and 7 days a week. They can be contacted via the phone and the internet, which makes them easy to reach using different means. Unlike other businesses, they are always available on call due to the urgency of emergency situations that needs to attend to. They would not make you wait overnight or over the weekend and allow you to continue to live in the fear that an explosion at your home can happen anytime. It would be to your advantage to only coordinate with a contractor who has the required skill set, and the proper equipment. They need to have the correct tools to make the proper and thorough inspection of the plumbing system to check if there are other unseen damages. Through experience, diagnostic checking has saved a lot of lives and properties because it allowed the professionals and the homeowners to know that there are risks that need to be mitigated. Not all of the plumbers in the area can accomplish such feats. 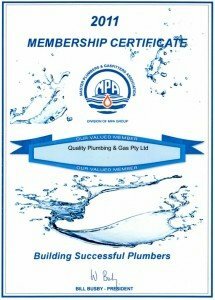 You should only work with those who are accredited with the Master Plumbers Association in order that you would be able to rest assured that the services that they deliver are set to a certain high level of standard. There may be another company who would offer to do the job at a cheaper rate, but you should think about whether or not you are actually willing to sacrifice the safety of your home or your office just to save up on initial costs. The trusted names in the plumbing industry are known for a reason. 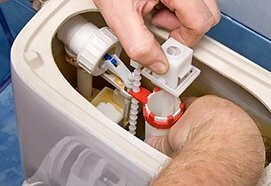 People keep on going back to them in spite of the availability of incredibly cheap plumbing contractor because with their services comes the assurance of long-term safety. The prices of their services do not vary much, so people would choose not to settle for something less. After all, the professional gas plumber in Perth are always generous when it comes to providing discounts to their clients, especially if you are looking for a more regularly-scheduled maintenance plan. The services provided by the Perth gas plumber are not at all limited to gas concerns. 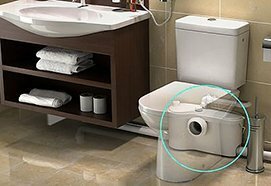 They can also assist you in the selection, installation, repair, and maintenance of other plumbing equipment and fixtures such as Sanity Pumps and Greywater solutions. It is safe to say that they are the one-stop shop for all of your plumbing needs. Discover more about what your Perth gas plumber can help you with by calling them or sending them an online inquiry. They will surely be able to give you an informative and satisfying response that would convince you to hire them right away.